On November 16-17, 23 teams competed across 5 challenges. 5 winning teams pitched their concept to gala attendees: H. Essers & Friend, TMHBE, Lineas, Arteveldehogeschool and the overall winner: Vangrislande. Read the full report in Flows (Dutch). 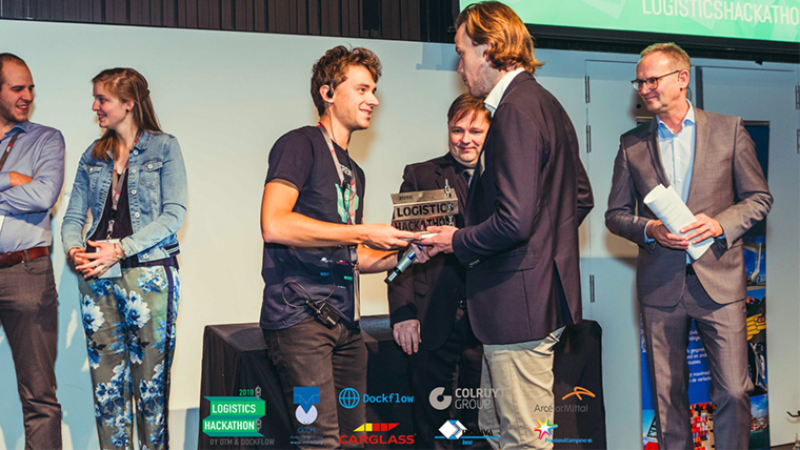 Recap and photos on the Logistics Hackathon website. The event was organized in cooperation with OTM (the Belgian Shippers’ Council). Dockflow was responsible for planning, coordination, marketing, coaching and on-site operations. Do you want to bring innovation to your logistics/supply chain operations? Let’s get in touch!